I fell in love with the electric guitar while I in middle school when hair and glam metal was all the rage. I (mostly) grew out of my hair metal phase but my love for the guitar and those who could command it in interesting ways never left me. I knew the name Walter Trout before I ever heard him play, before I began my excursion into the vast world of the blues. I didn't know why I knew the name other than I'd see it when I read guitar magazines and heard other players reference him. It wasn't until his 2010 release Common Ground that I heard the skill behind the name. "May Be A Fool" felt immediately comfortable to me because an awful lot of blues-rockers crafted songs that use this blueprint of a rustic, stomping acoustic intro that gives way to a big, hard, electric strut. Songs by Aerosmith, Cinderella, and Georgia Satellites immediately came to mind and while I still like those for what they are, I quickly realized Trout knows a few secrets and has some tricks up his sleeve those others guys did not. The Bible and the blues have had an uncomfortable relationship throughout the years with many a bluesman putting his guitar down after finding salvation, convincing themselves they could not serve God and the blues at the same time. Even though we all know Robert Johnson's ability to play didn't come from a deal with the devil, his lyrics told tales of men haunted by visions of hellhounds on their trail. On the title track, Trout cries out for understanding and peace in a world of strife, turmoil, and chaos in a way some of the Old Testament prophets could have understood. Maybe what Jeremiah and Moses needed was a Stratocaster. "No Regrets" is a modern blues exercise and exhibition for Trout as guitar master but Kenny Aronoff's explosive drumming and some deft organ work gives additional weight and anchor. Trout unleashes a torrent of radioactive guitar played with fury. Aronoff's drumming is also a focal point alongside Trout's leads on "Danger Zone." "Loaded Gun" is another clinic in loud, bloozy assaults that bar bands struggle to learn to play and write. There's something very Claptonesque in Walter Trout's vocal on "Song For My Guitar" and I like it. 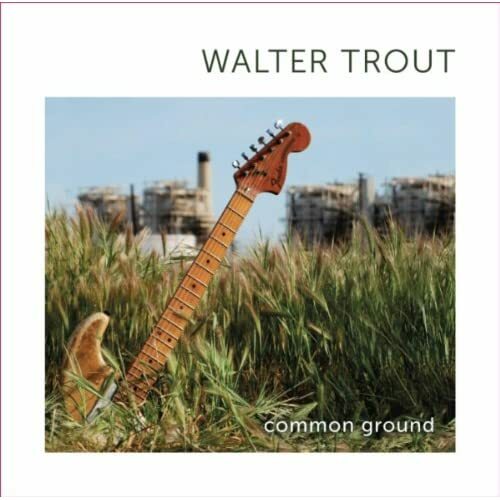 Lyrically this song treads well-traveled ground in the annals of rock but Trout gives a lovely vocal and, of course, the playing is first rate with such rich tone. Common Ground is a master class in blues-rock that blues listeners will love as will rock fans who love a healthy dose of blues and volume in their weekend listening playlists.